Mobility and flexibility shape our daily working conditions more than ever before. Efficient data collection is essential today in order to exploit the full potential of a company, to optimise processes and to remain competitive in the long term. 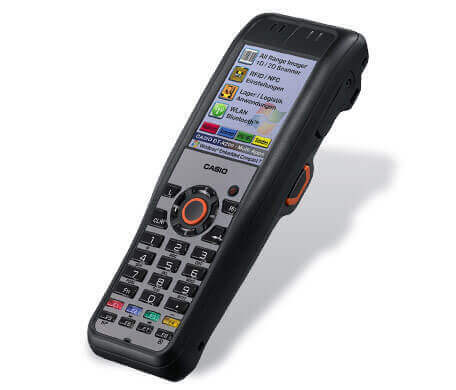 CASIO delivers innovative hardware solutions that are tailored to the needs of modern working conditions. The high-quality MDC devices lighten the workload for employees and guarantee companies a long-term secure investment as well as absolute reliability. All of the collected data is available immediately in electronic form and can be further processed whenever you want. 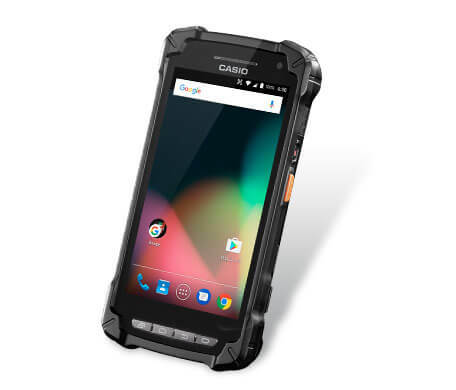 Welcome to the mobile working world supported by CASIO! 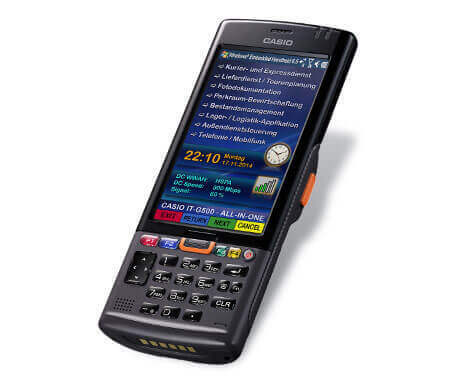 CASIO has a wide range of products for every need and for every industry sector. The IT-G500 reflects the finest technology combined with optimum user-friendliness. 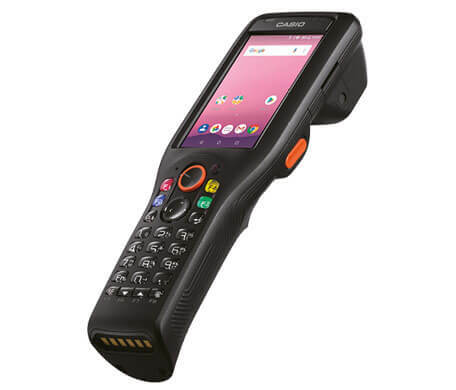 This handheld device is both a robust industrial terminal and a smart business handheld device, which is great for data collection in the areas of transport and logistics, in industry or retail. 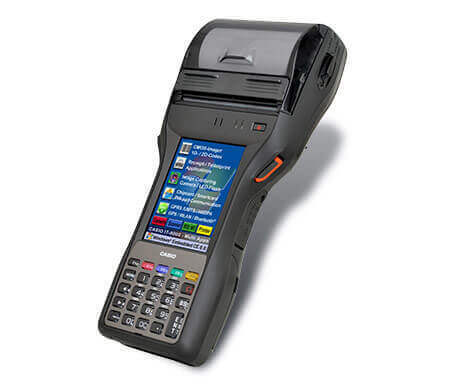 The IT-9000 multi-function terminal, on the other hand, serves as a mobile point of sale device for outside sales, at trade fairs and markets, thanks to its innovative MDC/payment system.  It is also ideal for use on railways and for mobile ticket sales. 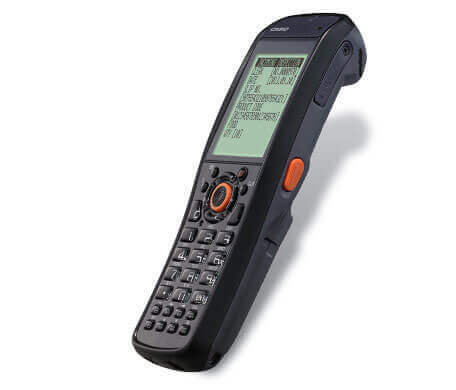 Thanks to its quick reading of barcodes, the DT-X100 ergonomic handheld scanner facilitates shelf or order data capture. 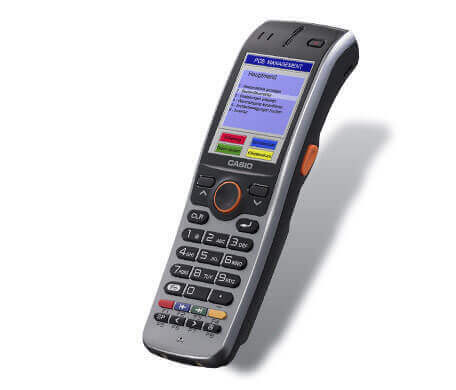 A state-of-the-art handheld terminal, intended for use in stocktaking or the retail sector. CASIO is constantly working to refine the hardware. This is the only way to be able to continue to offer new and better solutions, which are also suited to your exact needs. 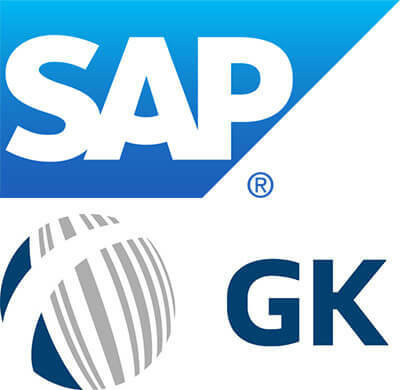 CASIO works in close cooperation here with renowned system vendors, who provide the specific software for CASIO hardware. This is a perfect collaboration for innovative products, so that your projects can be implemented and your company can be more efficient in the future.